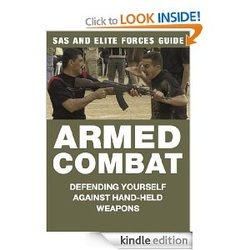 This section is for works primarily dealing with armed combat, mostly involving firearms. A few related books, such as my sporting guns title, will be included here rather than creating yet another section. Armed Combat deals with combat using firearms and hand weapons ranging from sticks and knives to a mounted bayonet. It is in the same series as Unarmed and Extreme Unarmed combat, and uses the same line-drawing approach for the how-to sections.